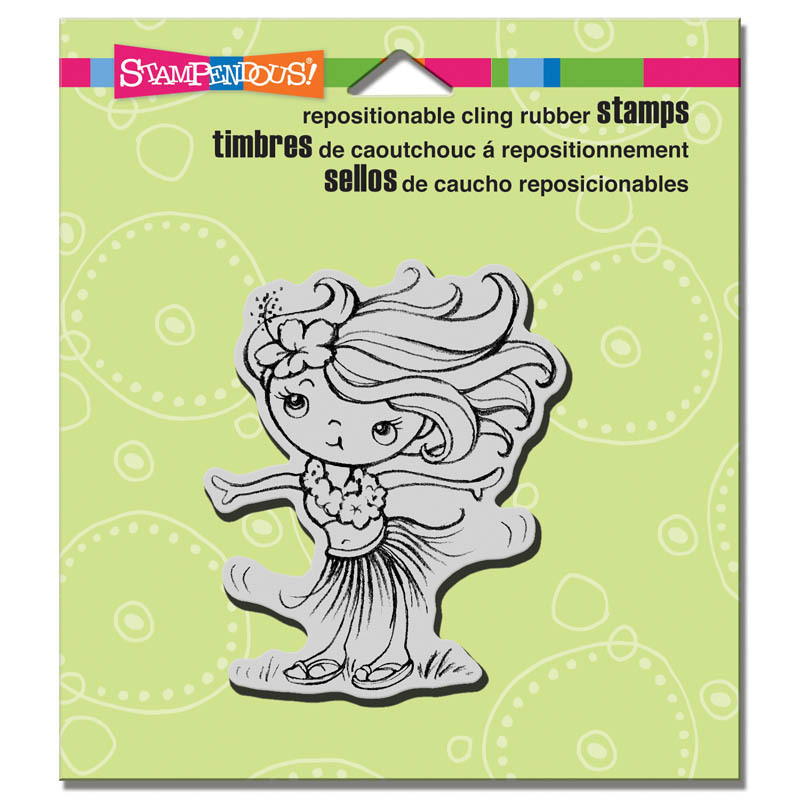 Stampendous Wobbling all week long! 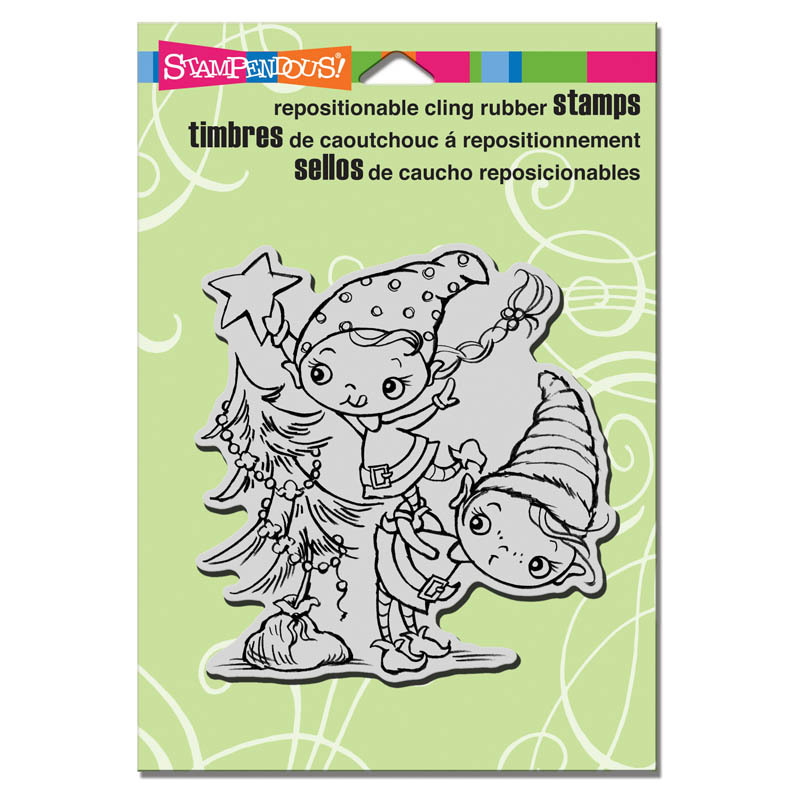 All of this entire week, the Stampendous and Action Wobbles teams have been wobbling our way to super fun interactive projects that is so easy to use (just peel and stick under image) and it is such an easy way to add focus and highlight your cards. This is definately a tool I was be adding to my crafty supplies! Today is the final hop of the week where you will be directed from both the Stampendous Impressions‘ blog or the Action Wobbles site to the design team members blogs for your viewing pleasure. This is your opportunity to see how to mix and mingle your creativity and take stamping beyond just cards! How can you win? Comment on the blogs below! At the end of the weekend (yes, you have until Sunday night) we’ll choose two of the blogs below at random. They will then choose a random winner and we’ll notify you here! Happy wobbling through this hop! Stampendous & Resin Craft Blog Hop + A Giveaway! The Stampendous stamp that I’ve used is the Cling Imperial Jewel stamp – unfortunately it has been discontinued; but fortunately, I am GIVING AWAY in today’s post. What you need to do to win – just follow my blog and leave me a comment (with your contact info) to let me know. That’s it! Now hop on over to these talented ladies to see what you can do with Stampendous Stamps and Resin Crafts! Lots of blog hop prizes to be won as well – 3 -prizes of jewelry resin, bottle cap, bevel, button plus SSC1124 Charm Collection Perfectly Clear Stamps and open to US and Canadian residents too! Leave me a comment – Happy hopping and good luck! Today is another Wire Works Flower Soft post – one that I’m using Flower Soft wires in my project. The brick background was embossed with one of Tim Holtz embossing folder. The florals and sentiment are from the Flower Soft Floral Starter Kit. I added some Flower soft on the florals for added dimensions and twisted the wire to form a hanger for the sentiment. I hope this gives you more ideas on where you could be using your wires beyond just floral stems. My friend, Suzanne Dean, asked me to do this product review a while back for publication in Through The Craftroom Door magazine. It was published in the Christmas 2011 edition and I totally forgot to post it here for your benefit too. So sorry for the delay but here it is … Enjoy! I am the proud owner of the amazing, sought-after Sizzix Vagabond die cutting machine by Tim Holtz. After all the big hype about the machine after summer 2010 CHA, I caved after 2 months and had to see what I was missing. I LOVE it! What’s not to like about the machine – the outside resembles a trendy, well-travelled suitcase and the inside is a powerhouse workhorse. It’s designed by a man, what do you expect. The stickers don’t last too well though – they are a little worn from me opening and closing the machine. I don’t mind that they are worn – makes my machine looks more authentic. However, 2 of them have already loss it’s stickiness and fallen off. It’s probably been eaten by my vacuum cleaner some weeks ago. 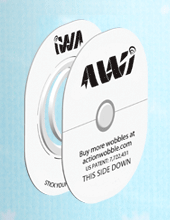 The Solo Shim is a thin piece of plastic that fits securely on top of the Solo Platform. They both measure about 6 1/4″ x 13″ and are to be used when cutting a Sizzlet, embossing with a Texture Folder, or using other-brand dies (e.g. Spellbinders Nestabilities and Papertrey Ink dies). One thing that I immediately loved about the shim and platform was that it clearly stated right on it when you should use the Solo Shim (with thin materials), and when you should use the platform alone (when cutting folded card stock or materials thicker than card stock such as chipboard, Grungeboard, etc). There was no fumbling around for the instruction booklet or racking my brain to remember what I should or shouldn’t do. On the top of the machine, on either sides of the handle bars, are the buttons to operate the machine. One side’s buttons are just for decoration, the other side has a motor button and a forward/reverse switch. Now, this won’t work unless you get out the power cord and plug it in. Where is the power cord? Tucked into a nifty side compartment for storage! How well thought-out is that – an all-in-one machine without having to find another place to keep your cords. Also makes it super easy to take it for crops. Weight: It weighs about 14 lbs. I saw a comparison of the Vagabond’s motor with the Big Shot Express on Scrapbook Update and the vagabond’s motor is about twice the size of the Big Shot Express. No, I didn’t crack apart my ‘bond but here is a picture of the motor comparison. That was obviously the first thing that went into the machine – I’m a paper crafter after all. Easy Peasy – cuts like a dream – for thick or thin cardstock. No fraying or puckering or stuck edges that I have to cut apart. See for yourself. I love making fabric flowers so I had to test to see if the machine is up to snuff. Sure enough, a flower came out on burlap – clean cut; works like a charm. I wanted to see if the machine could cut more delicate pattern, so I cut a flourish out with canvas. Perfect cut! A little thicker material but quite essential to a paper crafter – easy cut again, machine purred like a baby. At this point my husband came into the room to see what all that cheering was about. And he suggested some “real” material to try. I was thinking transparency thickness acrylic but I had run out so instead I took one of my Spellbinders packaging acrylic (much thicker) and tried that. I have to admit I was nervous I might break my machine but the dove I cut out, just fell out of the backing the moment I removed the cutting plates. Crisped edges, smooth cut! Wow! I had some difficulty photographic acrylic so I decided to emboss it – might take the glare away so I could take a picture of it. Yup – no surprise by now – the vagabond embosses even acrylic like a dream!! I embossed cardstock too and it leaves a nice deep impression as well. Tip: for a thinning cardstock, sandwich another cardstock in to take the pressure off the embossing so it doesn’t tear through the paper. By now, my husband was nodding his head, suitably impressed and he suggested that HE try metal. While he was setting up the sandwich, I started pulling up the Sizzix website for a customer service number and some warrantee information in case I needed one. I also sat across the room – in case something cracked or splinted and pierced whomever was near the machine. Look at the result!! Are YOU impressed now!! The vagabond cuts through everything like butter. No fraying, splintered edges, crumpled edges, no nothing. I included a photo of the negative space of the ornament die cut – it just fell out of the negative space, I did not have to cut out any stubborn, half-cut edges!! No need to guess – cuts like a dream. You do need a Solo Thin Die Adapter (purchased separately) to add to your sandwich to give it the thickness it needs. Overall, I am absolutely in love with my ‘bond. IN LOVE. Mine’s affectionately called Big Daddy. Everything I tried in it either cut or embossed wonderfully. Once, I put a wrong sandwich in the machine (my own oversight; not a machine fault) and the machine got jammed. Wouldn’t move an inch with my sandwich stuck in the middle. I nervously googled every possible solution to see how I could get my sandwich out without burning out the motor or breaking my Big Daddy. No result that could help me – it was too new at that time. I called Sizzix customer service and they kindly walked me through inching the sandwich out manually, literally inch by inch. I finally got it out and the machine had eaten a big hole in my embossing mat. I ran the machine a few times (without anything in it) to make sure nothing else was stuck up in the rollers that could cause another jam. After picking off the pieces and dusting it off, it’s still working like new. Any lesser machine (AND any less motor) would have been decimated by me. The Vagabond retails for about $200 and is available online. (*edited to note: the cheapest I have found online is $150) It is completely compatible with Sizzix products, and has a wide range of accessories to make it compatible with competitor’s products. Thank you for hanging on with me till the end – if you are seriously shopping for a die cut machine, you wouldn’t regret this one! It’s Friday and it’s my turn at the Crafter’s Companion blog post. I’m sharing with you Sheena Douglass’s newest release Paint Fusion set of stamps. If you have never seen Sheena’s Youtube videos on how she paints her flowers, you need to see how talented this lady is! Well, I have no courage to try to recreating her painting masterpieces. *Whimp* – actually I did try and it came out as blobs of pathetic purple mess. So I stamped my flowers and leaves and sprayed painted them with a variety of glimmer mists instead. I did paint the background with gold acrylic paint – imagining the coarse brush strokes might add a contrast to the smooth shimmer of the spray. The flower stems were Flower Soft wires that I colored with Spectrum Noir markers (JG65). If you do venture into the realm of painting a Sheena Douglass stamp, please share your work with us at the comments section or on my facebook page. I would LOVE to see it! Have fun with your paints! Welcome to another challenge at Wags n Whiskers (WnW). With Valentine’s day less than a month to go, the challenge this week is to make a Valentine’s/Love card. This is my opportunity to add all the romantic embellishments on my card – yippee! I used He Loves Me digital stamp from Wags n Whiskers. Postage stamp sentiments are from Raindrop Echo Designs, Love Ticket is from Tim Holtz Ideology line and DP is from My Mind’s Eye. Let’s see what you’re giving to your valentine! This seem strangely early for Christmas cards – but when I’m selling cards for a living – I cannot afford to wait till Christmas to design my Christmas cards! No one would get it by Christmas. Here is a Christmas Card I designed … You can find it on my website if you want to order this for Christmas. It coincidentally also fits into the circles and squares challenge call from Flourishes this week that Maki has issued. Circles are punched out from red and green cardstock with Fiskars medium and large circle punch. Poinsettia was from Making Memories Falala collection (now discontinued unfortunately). Sentiments are from Stampers Anonymous – Mini Holidays Number Two. Have a fun Christmas in June. At least I hope it’s here to stay for a while, given the crazy weather we have been getting in MN. Over at Crissy’s, she has declared summer too – a summer theme card! There are many things I love about the summers – allergy season from spring is slowing down a little; no need for coats, hats and mitten – thank goodness, when you have to run around the house to put on 2 sets of gloves before leaving the house (sometimes 3 sets when the 1st set comes off before the 2nd set goes on); grass is lush and flowers are blooming, especially the sunflowers … and here is my sunny flower card for Crissy’s challenge. Background is stamped using Impression Obsession cover-a-card distressed diagonals. Flower image and sentiment are stamped using Stampendous Daisy Thanks Perfectly Clear stamps. The entire card was inked using Tim Holtz’s Distress Inks – Wild Honey and Vintage photo. … Timeless Tuesday challenge at Flourishes. This time, Dee is challenging us to make or decorate a gift bag or box – what a fun and unique challenge!! On my gift bag, I used Stampendous Jumbo Hydrangea stamp and Hero Arts Friend Definition stamps. The Friend definition background was distress and inked with Tim Holtz distress ink – walnut stain and the Hydrangea was colored using Copic markers (BV02, BV04, BV08, G28, G20, YG67). Both images was stamped using Memento Ink – Rich Cocoa. Flower centers were created using Tim Holtz Distress Stickles – Rock Candy. The person who is getting the bag (and the gift inside) reads my blog so I’m not going to give the surprise away. I do hope you like it. You may have noticed that I have been making little changes to the design of my blog every so often. But today, I have hit the mother load of change – I’ve changed the entire hosting domain of my blog. From Blogger to WordPress. Apparently, Daniel, my technology GURU, thinks Blogger is not “powerful and versatile” enough so I have to go to a “better” one – solely his opinion, but after the blogger outage last week, I am inclined to agree. Anyhow, you will be getting a new invite to follow me on my new blog address … sorry about the inconvenience. But please continue to subscribe to my blog. I very much appreciate your support of my creative journey. And to welcome you to my new blog space. Here is a card for you. Enjoy …. and 3 more days to my Copic certification class!! I’m excited beyond words. I just love the Flourishes products – so timeless and elegant. And best of all, every Tuesday, they have a challenge where you can win. So here is my submission for this Tuesday. My background was embossed using Tim Holtz Burlaps and Swirls Texture Fades and the evening gown image is from Impression Obsession. I used Tim Holtz Distress Ink – Purple Concord to color the image.